Flash Heal is a 1 Mana Cost Common Priest Spell card from the The Grand Tournament set! flaash!!! Ahhhhhhhhh! you save everyone of us!!! Will the damage be affected by spell power? You’re right, with Auchenai, it becomes a 5 damages for 1 crystal worth. Way better ratio than a fireball or anything else. 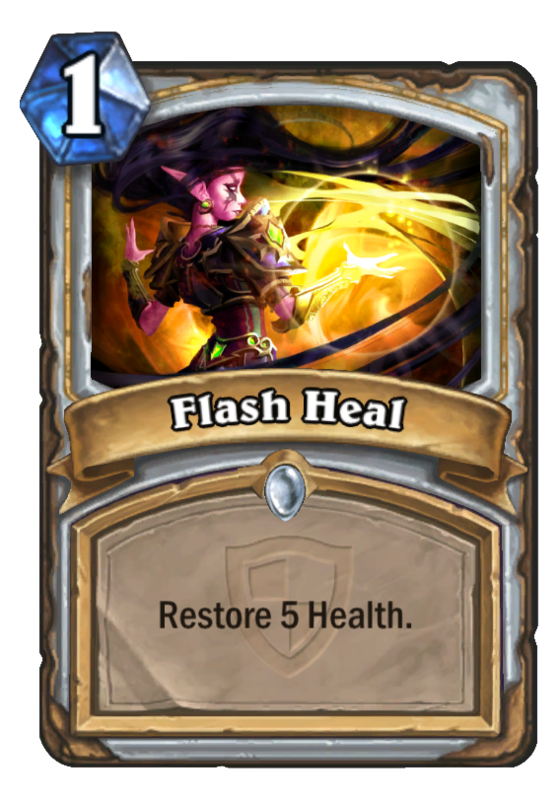 Can you feel the Value with Auchenai Soul Priest? Auchentay and prophet, a more flexible mind blast.